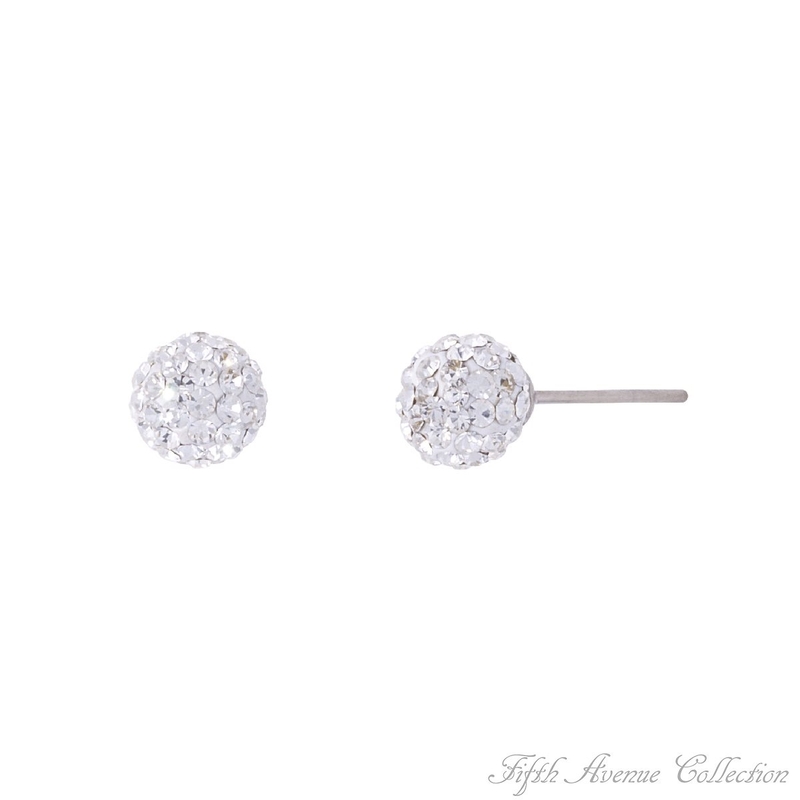 “Drops of Dreams” earrings create a vision of irresistible fashion with balls of rhodium-finish encrusted with a myriad of clear, glittering Swarovski crystals. A half hoop backing arcs around to a larger twin ball creating an illusion of the crystal drop being suspended mid-air. Offering movement and intense light refraction, this enchanting piece is elegance and originality.